Cuilin Zhang M.D., M.P.H., Ph.D. Contracting Officer's Representative Dr. Zhang is a Senior Investigator of the Epidemiology Branch, Division of Epidemiology, Statistics, and Prevention Research, NICHD, National Institutes of Health. The mission of the Epidemiology Branch is to conduct state-of-the-art original research in the areas of reproductive and perinatal epidemiology and to improve maternal and child health. Dr. Zhang has extensive experience on the etiologic and preventive research of gestational diabetes and related pregnancy complications and type 2 diabetes. Dr. Zhang also has long-standing research interests in developmental origins of diabetes and obesity and modifications of diet and lifestyle to improve reproductive outcomes and child health. Dr. Zhang who serves as the study’s overall principal investigator has technical responsibility for the Diabetes & Women’s Health Study including its scientific integrity. Sjurdur Olsen, M.D., M.Sc., D.M.Sc., Ph.D.
Dr. Olsen is Head of Center for Fetal Programming at the Statens Serum Institut in Copenhagen and Adjunct Professor of Nutrition at the Harvard School of Public Health. He is an expert on impact of maternal diet on maternal and child health and will contribute this expertise to the study. Dr. Olsen has been member of the team that undertook the Danish National Birth Cohort (DNBC) since its inception in 1994. He serves as PI of the subcontract to SSI and will oversee the day-to-day conduct of the study. He will offer active guidance with regard to all aspects of study operations for eligible women from the DNBC, and collaborate with NICHD in developing the manual of operations for the study. 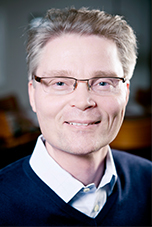 Dr. Vaag is a Chief Physician at the Danish National State Hospital and is a Professor at the Cophenhagen University. He has extensive experience in physiological studies including characterizing insulin action, insulin secretion, hepatic glucose production, indirect calorimetry, and skeletal muscle mitochondrial function. He will organize and coordinate the logistics for participants living in all regions of Denmark. Bodil Hammer Bech, M.D., Ph.D.
Dr. Bech is Associate Professor of Epidemiology at the Section for Epidemiology, Department of Public Health, University of Aarhus. Her main research interests are within perinatal epidemiology and fetal programming. She has vast experience with Danish registries and in-depth knowledge of the Danish National Birth Cohort and its databases. Among many other things, she conducted a large randomised controlled trial with caffeine in pregnancy and has also been involved in several validation studies within the Danish National Birth Cohort. She will help organise the physical examinations program for cohort participants living in western parts of Denmark. Frank Hu, M.D., Ph.D., M.P.H. Dr. Hu is Professor of Nutrition and Epidemiology at the Harvard School of Public Health. He is a senior diabetes epidemiologist and serves as the PI of the diabetes component of the Nurse's Health Study. He co-directs the program in Obesity Epidemiology and Prevention at Harvard and directs the Boston Obesity and Nutrition Center (BONRC) Epidemiologu and Genetics Core. He is a member of the Obesity Guideline Expert Panel at NHLBI and is on the Institue of Medicine (IOM) Committee for Preventing the Global Epidemic of Cardiovascular Disease. He also serves on the Steering Committee on Gene-Environment Initiatives at NHGRI. 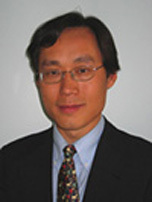 Dr. Hu has the overall responsibility for the administrative and scientific performance of the study at Harvard, overseeing the day-to-day operations. 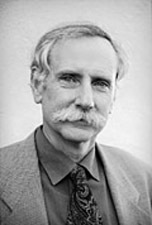 Walter Willett, M.D., Dr.PH, M.P.H. Dr. Willett is Professor of Nutrition and Epidemiology at HSPH and is PI of the parent grant of the NHS-II cohort. 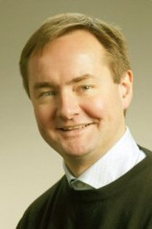 He is a member of the advisory board of the NHS Biomarker Laboratory and Repository. He has acquired substantial expertise in overseeing and conducting large cohort studies including the collection of biospecimens. Jorge E. Chavarro, M.D., Sc.D. Dr. Chavarro is Assistant Professor of Nutrition and Epidemiology at Harvard School of Public Health and Assistant Professor of Medicine at Harvard Medical School. He is the PI of the subcontract to Brigham and Women's Hospital. 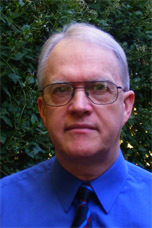 He is a nutrition and reproductive epidemiologist experienced in validation measures for diet in epidemiological studies. He had worked with both Drs. Hu and Olsen in previous collaborations. Dr. Gore-Langton is a Project Leader at the EMMES Corporation, a contract research organization located in Rockville, Maryland. He is the Principal Investigator of the Data Coordinating Center for this study, as well as other NICHD-sponsored projects of the Multiple Study Data Coordinating Center for DIPHR and previously the NICHD Longitudinal Investigation of Fertility and the Environment (LIFE) Study. He is a reproductive physiologist and informatics expert that has worked extensively in academic, hospital, research institute and government environments.